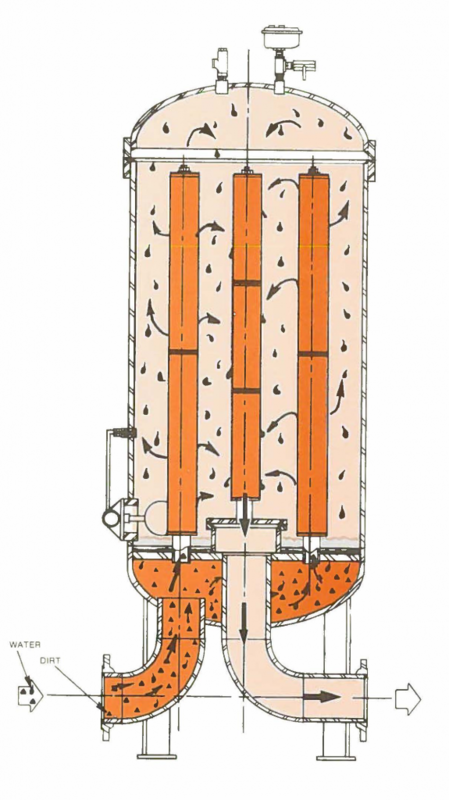 Fuel/ Water Separation | GIL InC.GIL InC.
GiL’s Filter/Separators use only approved elements to insure that our units meet the latest commercial and government specifications, operating on the coalescing and gravity settling principle. They are designed and fabricated for the most efficient removal of water (both free and entrained water) and solids from fuels used in vehicle engines for land, sea and air transportation. Our Filter/Separators are supplied with a cover lift, pressure relief valve in the cover, manual or automatic air eliminator, differential pressure gauge assembly, liquid level gauge and a complete set of elements. The units are available with full automatic controls (automatic float valve, slug control, rate of flow limiter, automatic water drain valve) or these parts can be installed in the future. Sample ports (inlet and outlet pipes) are available, allowing you to test the fuel’s condition prior to entering the Filter/Separator and comparing it to the effluent fuel.